Dr. John Kitzhaber will be presenting The Oregon Plan Revisited: Habitat Restoration Through Community Reconciliation. 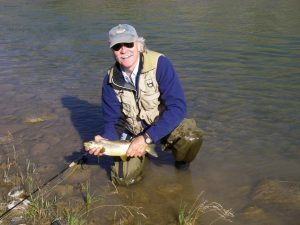 Dr. Kitzhaber played an instrumental role in the development and implementation of the Oregon Plan for Salmon and Watersheds. Over the two decades since the Oregon Plan for Salmon and Watersheds was first implemented, we have learned a great deal about the opportunities and challenges of landscape level restoration initiatives. One of the central lessons can be found at the nexus of politics and public policy. The “us versus them,” winner-take-all tone of our current civic and political discourse not only diminishes us as a nation, it undermines and jeopardizes the success of long-term environmental stewardship. Broad scale habitat restoration work, if property framed and implemented, offers us a path to beyond this culture of conflict to lasting and broadly supported environmental gains. Dr. Kitzhaber practiced Emergency Medicine in Roseburg, Oregon from 1974-1989 before being elected to the Oregon House of Representatives in 1978; the State Senate in 1980, 1984 and 1988, serving as Senate President from 1985-1993. John is Oregon’s longest-serving governor, holding that office from 1995-2003 and 2011-2015. While perhaps best known for his work in health policy, John is one of the Northwest’s most dedicated environmental advocates. He was the author of the legislation establishing minimum stream flows and creating Oregon’s first public instream water right. In 1997 he was the architect of the Oregon Plan for Salmon and Watersheds. He has been recognized with the Richard L. Neuberger Award (Oregon Environmental Council); The Distinguished Service Award (Trout Unlimited); and The Guardian of the Future Award (Resource Renewal Institute). He has served on the boards of the Oregon Environmental Council, the Pacific Rivers Council and the Wild Salmon Center. John is currently a writer, speaker and private consultant. He lives in Portland and spends his free time fly fishing and white water rafting on the Northwest’s wild and scenic rivers. 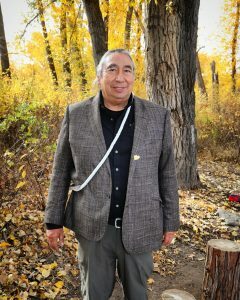 Louie Pitt, Jr., Confederated Tribes of Warm Springs Tribal Member and Director of Governmental Affairs, where he is responsible for maintaining relationships with off-reservation governmental entities regarding the Tribe, its interests, and ensuring open communications. The tremendous breadth and depth of our tribal ways of life will be carried on into the future. “Ewa-cha-nai” or that the way it was yesterday, that is the way it is today and that will be the way tomorrow is teaching that guides many local tribal efforts, including strides in conservation. Louie plans to discuss his experiences navigating complex socio-political realities while promoting ecosystem wellbeing in a way that is consistent with cultural responsibility. These efforts are complicated by the presence of settler colonialism and western bias, which often obscures native experiences, including contributions to restoration and fisheries science. At Warm Spring’s Natural Resources branch he was Assistant Policy and Planner. Louie accepted a promotion to Director of Government Affairs and Planning, overseeing Planning, Vital Statistics, Records Management and later moved on to Public Relations (KWSO radio and Spilyay Tymoo newspaper). His tribal service has been spent as a member of Timber, Recreation, Land Use/Planning committees and also serving as a Tribal Appellate Judge. State service was spent with Governor Kitzhaber’s transition team, Legislative Commission on Indian Services, Lower Deschutes Management Plan Committee, Columbia River Gorge Commissioner, and serving three Governors and an Advisory Committee on Civil Rights to State of Oregon Labor Commission. 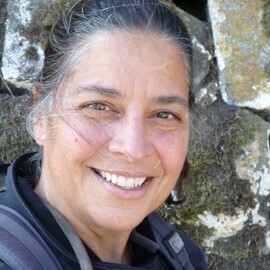 Queta González is the Programs Director for the Portland-based Center for Diversity & the Environment (CDE). In her experience Queta works to enhance collaboration through identification and education on the topics such as power and privilege. Queta believes that our differences make us stronger. Social, environmental and economic justice are key elements of her work that are relevant in the development of restoration and conservations approaches that meet the needs and expectations of all stakeholders. Queta’s background includes design and delivery of strategic engagement sessions, organizational trainings, design and coordination of Equity Audits, leadership coaching and organizational consulting. Queta has worked internationally on the development and implantation of diversity teamwork strategies. She has been training, facilitating and coaching people in Fortune 500 companies, non-profit organizations, government, and small businesses for over twenty years and has delivered trainings across a myriad of cultures, working in partnership with a variety of organizations.